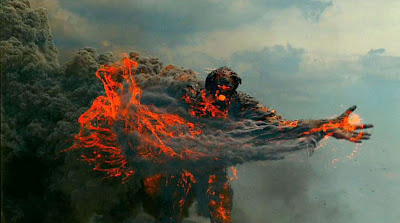 Does Wrath of the Titans improve on the original, or get banished to the underworld? Find out after the jump. The 2012 summer movie list is one of the most tantalizing in recent memory. Stuck at one end of this onslaught of cinematic rapture is Wrath of the Titans, a curious opening act considering the ho-hum reaction its older brother received in 2010. However, armed with a new director, better action, and a slightly better script, Wrath is an improvement on Clash, but still misses the target. Let’s put it this way: if you enjoy the typical summer movie popcorn fare, Wrath is for you; but, don’t expect a history lesson on Greek mythology that makes even a lick of sense. Set 10 years after Clash, Perseus (Sam Worthington, Terminator Salvation) has a son but has recently buried his wife Io after an uknown tragedy. Returning to the life of a fisherman, Perseus is unwilling to accept his demigod status and has rejected his father Zeus (Liam Neeson, Taken). Perseus is not alone; it seems that others are also rejecting the gods, and without their love, Zeus and the others will soon perish, thus leaving the massive entombed creature Kronos (Zeus’ father) free to annihilate mankind. Bur Kronos needs help getting free, so Hades (Ralph Finnes, Harry Potter) and Aeres (Edgar Ramirez, The Bourne Ultimatum) hatch a plan to kidnap Zeus and drain his power to recharge Kronos’s batteries. Once Perseus learns of the treachery, it’s off to the underworld with Argenor (Toby Kebbell, War Horse) and the beautiful Andromeda (Rosamund Pike, Die Another Day) to save Dad. Like I said, if convoluted Greek mythology that leaves more questions than it answers is your thing, then this one’s for you. 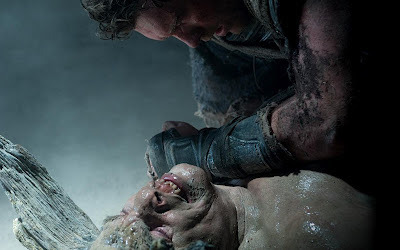 But unlike its elder brother, Wrath of the Titans does offer a slightly better product. The monsters are bigger and meaner, the tone is grittier, and the cast seems more engaged than in the previous effort. 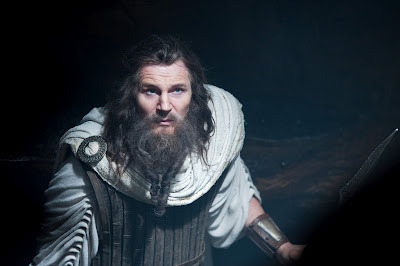 Bill Nighy (Underworld) is fun as the god's blacksmith Hephaestus, and Pike is an upgrade from Clash’s heroine. Posedion (Danny Huston, Wolverine) could have used more screentime, but I was glad to see the minor role of Perseus’ son Helius (John Bell) kept to a minimum. I'm so tired of the way the son element is abused in movies, but Bell's smallish role actually shows growth of the character when he realizes that he and his father can never return to the simple life of a fisherman. Composer Javier Navarette (Pan’s Labryinth) crafts one of tbe best soundtracks of the year – its big score matches the epic battle scenes conjured up by director Johanthan Liebesman (Battle: Los Angeles). Liebesman’s use of both hand-held cameras and sweeping CGI scenes mix up the action just enough to keep the paltry 100-minute runtime feel like a rollercoaster ride that does feel quite complete. The thinly veiled script doesn’t kill the film, but it could have used more muscle. Had the studio actually worked to balance its shortcomings, Wrath could have been a terrific product. I do recommend the film, but stay away from the post-production 3D, which is distracting to say the least. While not banned to the underworld, Wrath of the Titans does miss in a few places. Despite these problems, its big scope and fast pace is a fun rollercoaster ride that will make you briefly forget about the more substantial pieces on their way this summer.